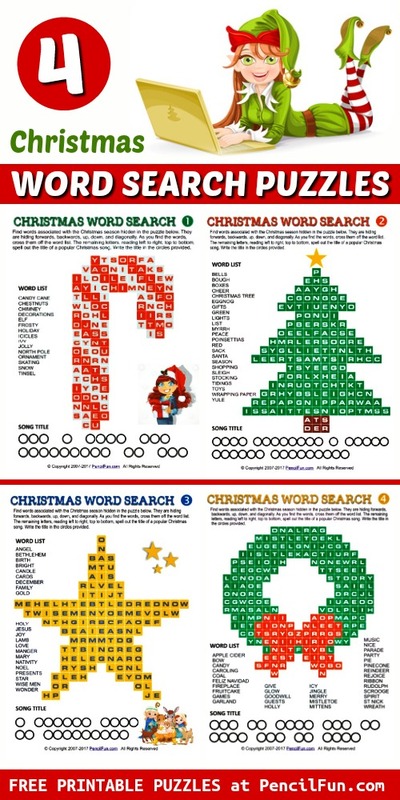 If you enjoy Christmas words search puzzles , you'll love these. 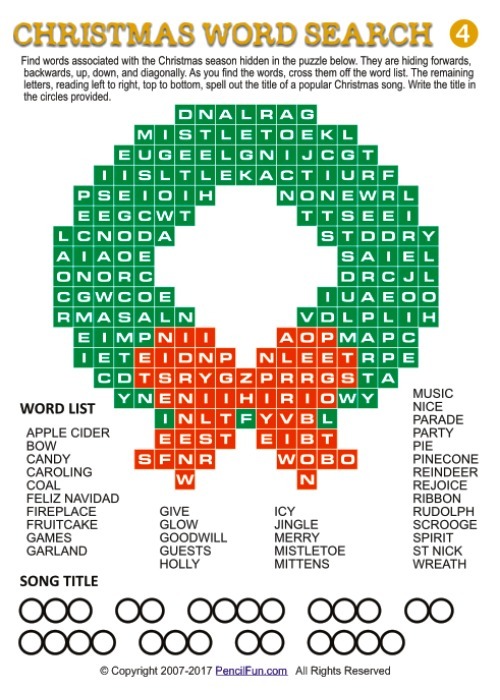 Each word search is in the shape of a Christmas symbol, and after solving, the remaining letters spell the title of a popular Christmas song. 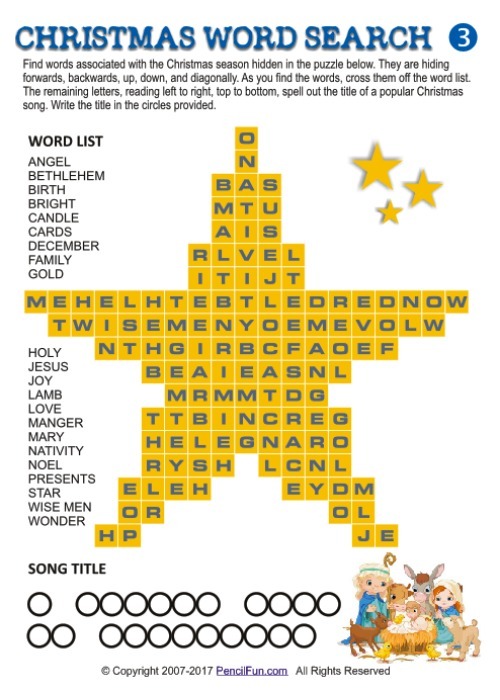 Request your full size printable versions by using the form below. 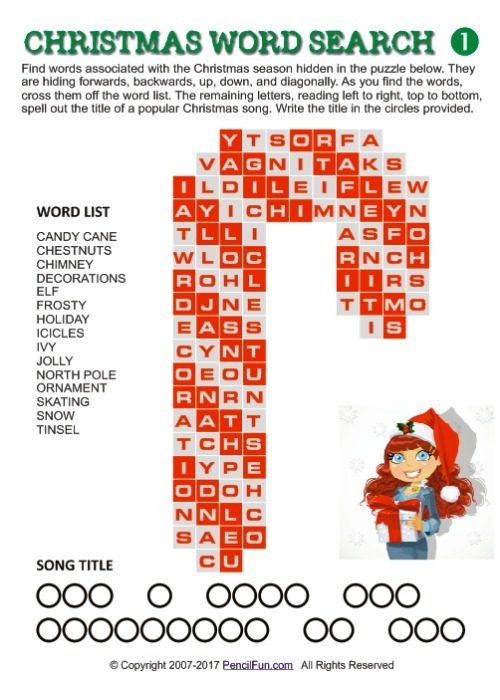 You'll be given immediate access to the printable game and answer sheet. 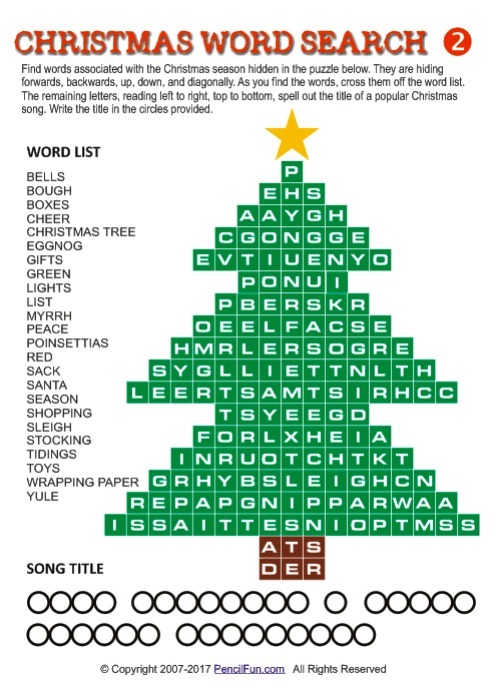 There are four puzzles in all.